Autoguide Equipment Ltd has introduced a new product for the forestry and leisure industries. 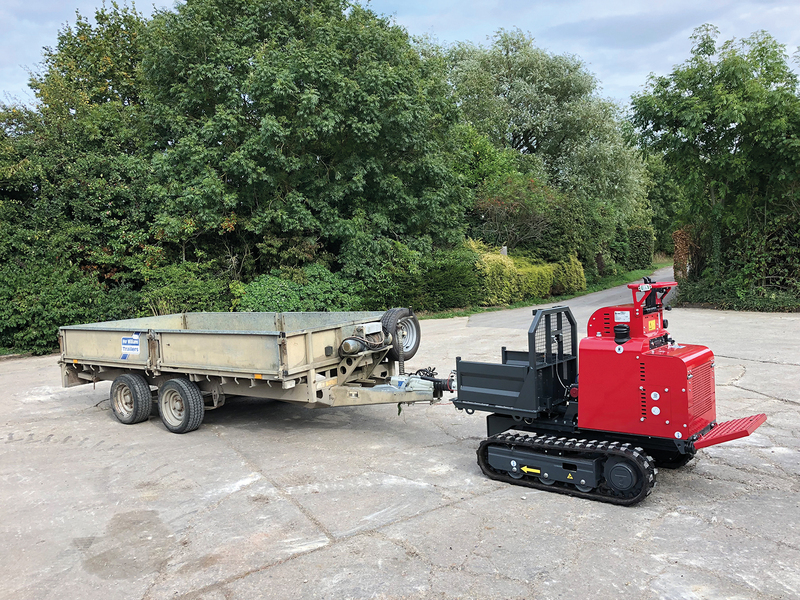 The Hinowa Track Base is fittedwith an Autoguide Winch System and is a multifunctional machine designed for a wide variety of uses. It has a compact design for easy transportation and accessibility. For the forestry industry, it is ideal for moving fallen trees and transporting large lengths of timber to areas more suitable for logging. For the leisure industry, it can be used for moving trailers and caravans and for the launch and retrieval of pleasure boats. For general use, practical design elements such as the removable bed sides and swinging tail board provide a safe and easy way to transport equipment and materials. ONE OF THOSE SUMMER FENCING JOBS…. CAN KLOU CRACK THIS ONE?!! 10th November 2018 Damien Downing Comments Off on ONE OF THOSE SUMMER FENCING JOBS…. CAN KLOU CRACK THIS ONE?! !